We hope you find our range of vertical literature racks convienient for document storage on either your desktop or floor space. What is the purpose of the Vertical Literature Racks? Our Vertical Literature Racks attractively display magazines and books. The exclusive Con-Tur design eliminates curling of the magazines on display. It is made of powder-coated prime steel and there are four colour options. Where can the Vertical Literature Racks be used? Our Vertical Literature Racks can be used in waiting rooms of business offices, medical clinics and educational institutions. 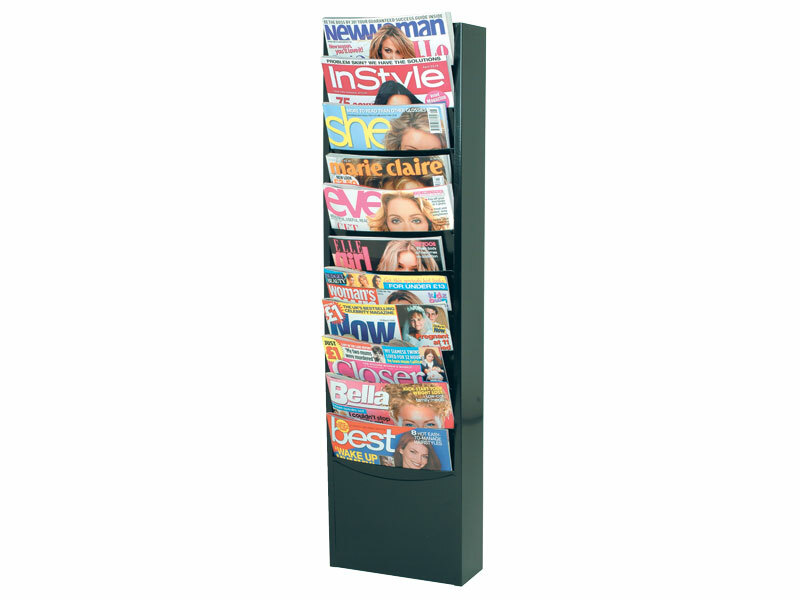 The design allows up to 65mm of visibility, so customers can easily identify the magazines being displayed. 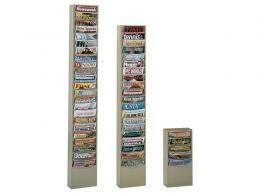 Keep your clients happy with current reading material in this durable literature rack. Who might use Vertical Literature Racks? The Vertical Literature Racks can be used by business owners and office managers. Keep clients and visitors entertained with interesting reading material while they wait. Literature racks are an invaluable addition to any waiting room. Our Vertical Literature Racks have a standard 1 year parts and labour warranty. 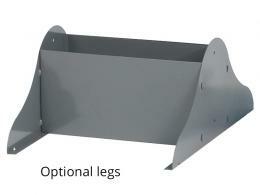 They can stand upright on the floor or be mounted to the wall for extra security. The keyhole slots make the set easy to mount on the wall. 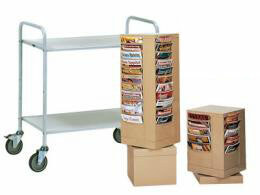 This literature rack can also be mounted on to freestanding legs which are available as an accessory. The powder-coated finish makes this steel unit attractive and resilient. Choose from four sizes and colour options. Additional details are below. We offer free shipping to UK Mainland. Unit will be shipped within 3-5 business days. Order must be placed by 3 pm. Orders placed after 3 pm will be processed on the following day.